The alley Västerlänggatan. 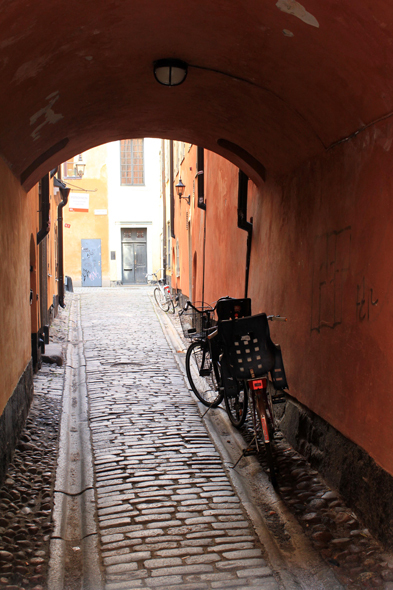 Until recently Gamla Stan was relatively deserted, many of its historic buildings decayed. In the last decades, it however became a important tourist place, thanks to the charm of its architecture of medieval or Renaissance style.